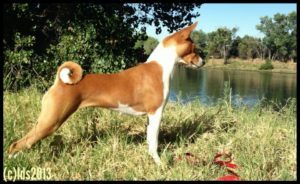 Ph’nx is the spitting image of her father Drew and has quickly stepped into his pawprints as my faithful companion and performance basenji. To view Ph’nx’s public OFA health testing results, visit the OFA. 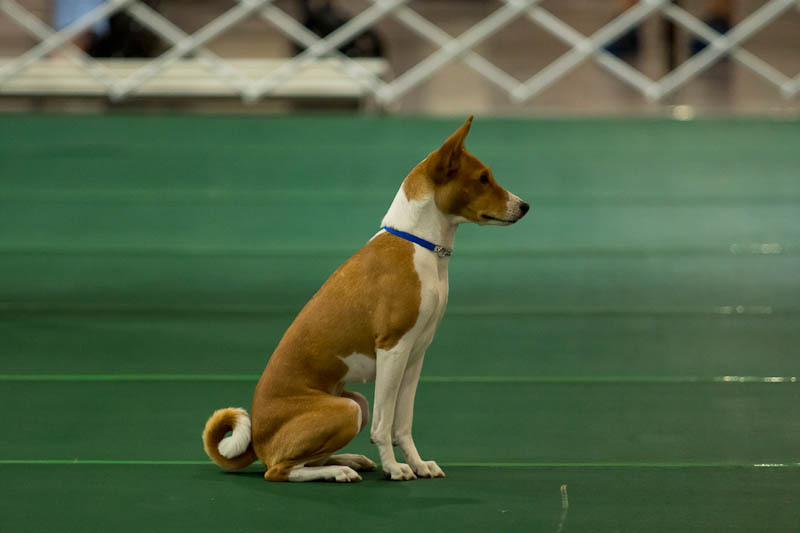 Ph’nx finished her American AKC Championship in 2014 from the BBE class. She is my fourth bred by champion. She is also a multiple group winning UKC champion. Ph’nx finally earned her SC and has 7 points towards her FC. Sadly she was aggressed multiple times at the 2013 National Lure Trial and stopped running with unknown competition; it will take a miracle to get her majors. Ph’nx eared her BN in three trials, with an average score of 198 out of 200. She earned her CD with placements. 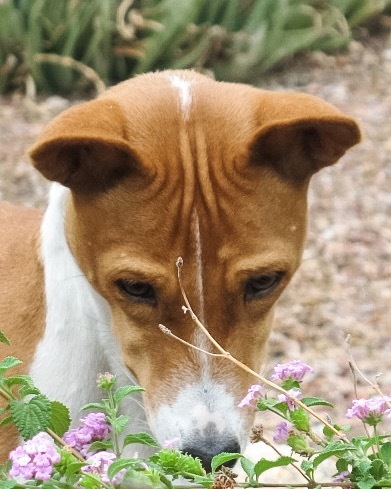 Ph’nx is not very confident on stays with other dogs so we will see if a CDX is in her future in the meantime we will play with the new preferred Open obedience class when offered. Her debut in Preferred Open garnered a 1st place with a 193.5 and she ended up finishing her title easily. Ph’nx debuted in Open A at the 2017 BCOA National Specialty and earned her first CDX leg with a respectable 195.5. With rule changes removing the out of sight stays, we will work towards her CDX. 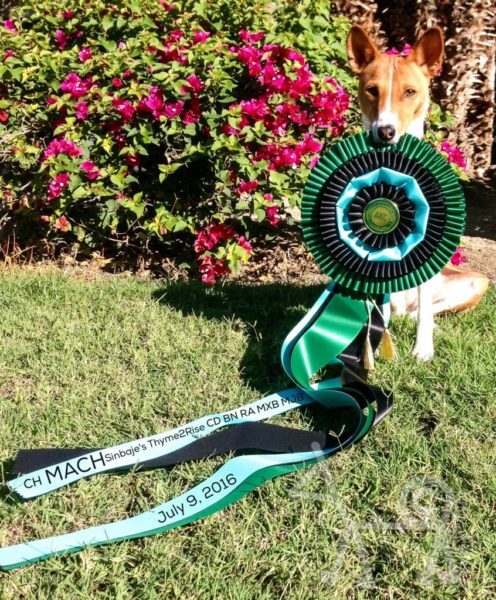 Ph’nx finished her Master Agility Champion (MACH) title July 2016. 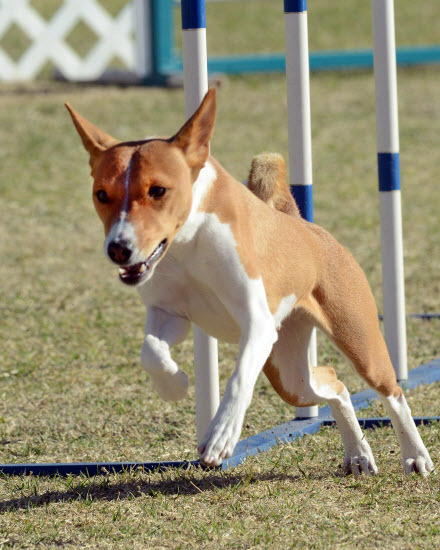 She is the youngest basenji to earn a MACH and is my third bred-by Agility Champion. Ph’nx finished is her MACH2 title October 2018 in very limited showing. Now that her mother V is effectively retired, she will becomes Rand’s trialing buddy. She earned multiple all breed placements en route to her RN, RA, RE and RM titles. She currently has five RAE legs. Ph’nx finished her Rally Master title August 2018 with multiple high scores and placements. She has earned multiple all breed High Combined and High Triple Score. Along with her son Ford, she is RACH (Rally Champion) pointed. Ph’nx passed all three odors at her ORT but fell apart at her NW1 trial. Her second NW1 attempt was incredible. She finished second out of 45 entires and 19 quailifiers with a few pronounced elements. She earned her NW2 title placing 4th out of 38 (14 qualifiers), with two P’s. Onwards to NW3 where she missed her first pass by one container. 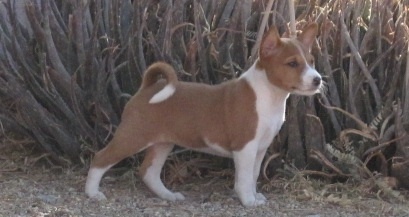 Ph’nx is also playing and succeeding in AKC Scentwork. Because Ford is in the higher class, I am keepimg Ph’nx in Novice where we will complete the Novice Elite title this fall. She has won two HIT Novice thus far. Visit the sinbaje youtube page or FB page for links to her and Ford’s nosework videos. 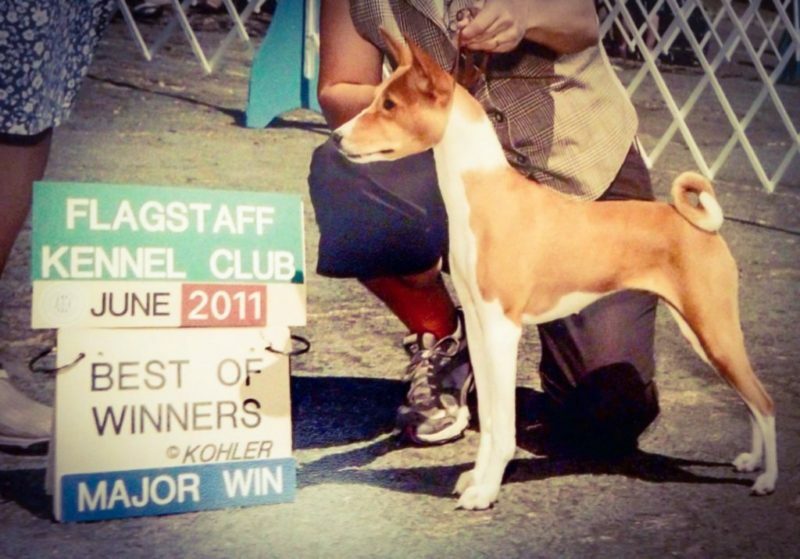 Ph’nx made breed history by becoming the first Barn Hunt Master basenji in the world. 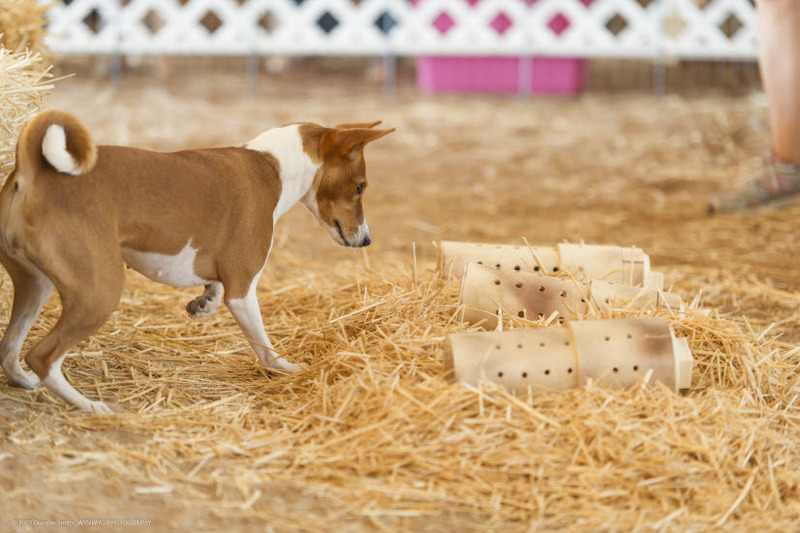 She then made breed history again becoming the first RATChampion in August 2017.